Empower Your Teams. Elevate Your Customer Experience. $24.99* per line, per month. Visit Vonage.com/Channel to Get Started! *WITH TWO-YEAR AGREEMENT, PLUS TAXES AND FEES. 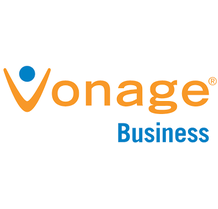 CUSTOMER MUST HAVE AN ACTIVE SALESFORCE ACCOUNT TO USE VONAGE FOR SALESFORCE. OFFER VALID THROUGH 12-31-18.